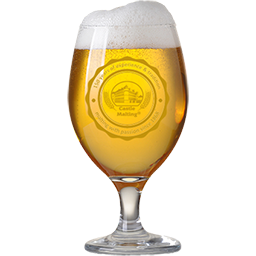 Commonly called “farmhouse ale” this beer is a refreshing pale ale that is highly carbonated, fruity, spicy, and often bottle conditioned. Began as a pale ale brewed in the cooler, less active months in farmhouses in Wallonia, the French-speaking region of Belgium, and stored for drinking in the summer months. after 80 min add Aramis, Mosaic and Perle.